Our hams come from humanely raised, heirloom breed hogs that free-range in the fresh air and sunshine—a pedigree both you and your palate will appreciate. Each ham is marinated in celery juice, sea salt, and an elixir of honey and spices, then hardwood smoked. Hams arrive fully cooked. Simply heat, fan the slices a smidge, and watch the ham artfully arrange itself before your eyes. Entertaining has never been easier! This is a variable weight product that will range from 4-6 pounds. Cooking: Spiral Hams are pre-cooked and can be served cold. To serve warm, remove plastic film. Open foil, remove plastic bone guard disk and replace foil to preserve moisture. Place in the oven at 325-350° allowing 10 to 15 minutes per pound for reheating. 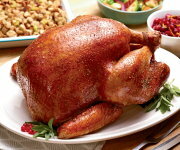 Heat to an internal temperature of 140 °F as measured with a food thermometer placed in the thickest part of the meat. Remove from heat and serve. 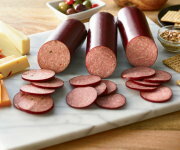 Be careful not to over-heat as the precooked, precut spiral slices can dry out. 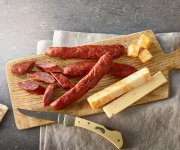 Handling: Organic Prairie meats are frozen at the peak of freshness, then individually vacuum sealed in air-tight packages to preserve optimum taste, flavor and freshness. Store in your freezer and thaw meat in the refrigerator before cooking. Organic Extra Lean Ground Turkey Breast - Four 12-oz. pkgs. I loved this ham. It had the PERFECT pitch between salty, smoky, & sweet...loved that it wasn't so salty like similar products. I love the fact that these hams are cured without synthetic preservatives, i.e. nitrates, nitrites, sulfates, sulfites! I'm not generally a big fan of ham (too salty) but my husband and kids LOVE it. For Christmas, we decided to compromise - we'd get a ham but would try an organic ham (hoping for less of the salt and additives that I don't like). Everyone in our household agreed that this was the best ham we had EVER tasted. I loved it so much, in fact, I'll be ordering another one for Easter. Worth every penny. It's Christmas Eve 2012. Right now, my husband and I are enjoying your spiral ham. We are not disappointed. It's simply delicious. We'll be ordering again. Thank you. Merry Christmas! Had this ham for our christmas dinner. This ham is awesome!!!! Never had a ham that tasted so good. We celebrated Christmas with your ham and we can honestly say it is one of the best tasting hams we've ever had. And, it wasn't too salty, either. Your summer sausage is great too. 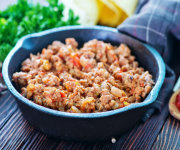 Meaty, not greasy, perfect combo of spices. Thank you for the fine products. And we thought the South had great hams! Best ham ever! We occasionally bring home hams when we visit Tennessee, but this ham has southern hams beat by a long shot, with the added plus that its organic! Excellent packaging, ham arrived frozen solid on a warm day here in the Southeast. Easy to reheat and serve. Everyone loved it. It had a wonderful smokehouse reminiscent flavor and very lean. Easy to order. Fully cooked. Very lean. Arrived on time as promised. Thank you for making the holiday simpler. I have tried so many hams and this is the best ham I have ever tasted. I order twice a year. Give the ham bone to a friend as she makes soup and she said it is the best she has ever tasted. So easy to cook...Very lean and juicy...Excellent flavor! Will definitely be buying more! Not only was it a great tasting Ham, very much smoked and flavorful, it was great to know that it was organic and much healthier for my family!! We will be trying other products soon as well. For some time I had been wanting to try the ham, and it exceeded my expectations--tasting nothing like the ham that I grew up eating. I was pleasantly surprised. Moist and tender . Feeds a lot of people! Although I didn't taste the organic ham sent as a gift, I received a photo of it and rave reviews from my daughter, family and friends in New York. Apparently, they made everything from sandwiches to omelets to frittatas with your ham. I will certainly order in the future. Thanks! Excellent holiday treat. 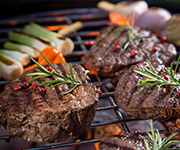 The flavor is great and the meat stays juicy and tender. I was looking for an organic ham for the holidays and Organic Prairie had one that did not disappoint. I loved the flavor and it lasted the next couple days for bean and ham soup. Good food I feel good about! Our organic ham was the centerpiece of our Christmas meal, and it was delicious. It's the second time I've ordered a ham, and I'm thoroughly pleased! The ham was delicious. I followed the instruction for warming and in my opinion it was too much as it was a little dry. My family and I were hugely satisfied with our ham from Organic Prairie. Having it arrive right at our door was great, but to have it be as delicious as it was made our Christmas dinner even better than I could have hoped. I think I've found my default go-to resource for holiday meats. 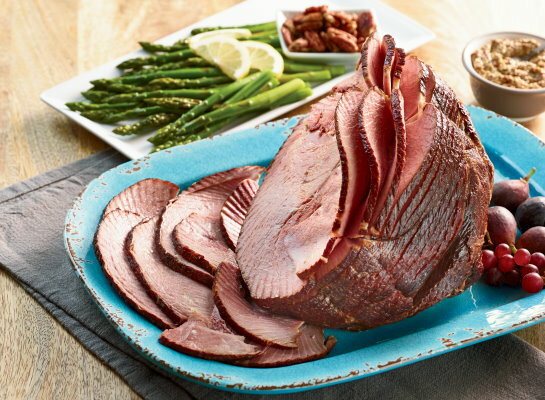 Organic Prairie's spiral-sliced hams are amazingly good and convenient. I heat them per the instructions, then slice and freeze into individual servings to last me a while. I use the ham bone for delicious home-made split pea soup, so I get many meals out of one ham. I ordered from Organic Prairie for the first time at Christmas, because my daughter-in-law does not like the beef tenderloin I usually serve. I wanted organic pork but it is hard to find locally. I went online and ordered a spiral sliced ham, so we would have some variety. I have gotten Honey Baked Hams before which were good, but I try to support organic farming whenever possible. Wow were we suprised to get an amazingly delicious spiral sliced ham. It was juicy and tasted great. I then made a HUGE pot of ham and bean soup with the leftover scraps and bone. I feel it was actually a fair price, as well, considering how many delicious meals and sandwiches we got out of our 4 lb. ham. Thanks for offering these lovely organic selections! I hope to try other products from your company in the near future. We usually only eat ham once a year (at Easter), and this OP Ham is a treat! Don't expect the overly salty, water-logged hams you can get at Safeway, these OP hams are seasoned perfectly and are moist (but not gelatinous!) As others have said, the bone is fantastic in soup, and if you cut away some of the extra meat next to the bone -you *have* to make a home-made scalloped potato dish. Looking forward to it again this year! Best ham I ever had. I have bought this ham 3 times and it has turned out perfect each time. The ham in my opinion is perfectly smoked. This is the best ham we have ever had. Everyone raved about it. We initially purchased it to accommodate some food sensitivities, but now we buy it just because it is the best ham ever. I highly recommend it. You won't be disappointed. Our ham was delicious although a little dryer than expected. It would be very helpful if the weight of the ham were printed somewhere in the literature rather than us having to guess. My husband and I cooked our ham according to the package directions (10 minutes per pound at 350 degrees) and we guesstimated it at 5 lbs. It was probably more like 4 lbs. because of how dry it ended up. The flavor was still delicious and we'll definitely be buying again in the future. Haven't had this problem with the other hams we've purchased from you in the past so that's why we're assuming it was a weight guesstimation issue. Made Easter Dinner special. Great quality and taste. The best ham I have ever had! Better than any ham you could purchase in a store . I highly recommend this product. Very fresh tasting and does not overwhelm with too much saltiness like some hams can. I will purchase again for all of my dining events. Our family loves this ham. We order it for Easter and Christmas dinners. It always turns out delicious! This ham takes me back to my childhood when my grandparents raised and smoked their own meats. The taste and aroma can't be matched unless you do it yourself. We had this ham for Thanksgiving last year. My parents had not had one and they thought it was the best ever. I told them all of your products are this good so they had me order another one for Easter. It was just wonderful, as always. We support Organic Prairie because of their business practices and the quality of their products. Thank you for making these products available to us. I've been getting Organic Prairie's spiral-cut hams for a few years. They are always delicious. I heat them per instructions, slice them up, and freeze in individual servings. I use the bone in split pea soup. The ham is perfectly flavored, and well worth the cost. I am not a huge fan of ham, but this ham is so delicious that I ate more than my usual share! We will be ordering more in the future! When the ham arrived, there was no dry ice present. The taste of the ham was very good and the salt level was just right. Look & taste were great, just wish a size had been on. Website said 3-5 pounds so I ordered 2 hams had way to much, I don't like to waste money. But loved the taste. I was advised by your staff to put the ham in a crockpot with some water for a couple of hours on high at first and then low before serving. I might have left it in a bit too long (about 4 hours)...but it was still great and some parts of it were totally succulent...I would order this again. Thank You for being organic...it's so important to me! I have tried many brands and this is the only I order now. I re-order this product. All my Friends say this is the best ham they have tried also. The flavor of this ham is great....but dry meat....that's why I gave 3 rating. I'm going to try the other ham that's available. Ham was delicous! Issue is the range of size you receive. Very hard to base a meal on an amount of people when you can not order the size or know the size you will receive. Thumbs down! The spiral ham was absolutely delicious!!! I plan on ordering it again for X-mas!! We bought an Organic Praire ham after tasting one at a friend's house. My son is a very fussy eater but he loved this ham. Very lean meat with a great texture, light smokiness, very little salt. Very expensive but I only buy 1-2 hams a year so might as well get one we can all enjoy. We had this wonderful ham for Christmas Eve and everybody loved it. It was 6 lbs. So, it cooked in the oven as instructions for 1 hour. That is all. Tender, not to salty, outstanding flavor! Best Ham ever! Not salty, very tender....Will do next year if offered! I made this ham for our Easter Dinner. It was the most Delicious, Moist Ham I have ever had!! I recommend it to anyone that wants the best in flavor too! We will be buying this product again! Thank you for such excellent quality. Absolutely the best ham I have ever had. Also, the fact it is not salty made me very happy - my company thoroughly enjoyed it as well. Will buy again. Delicious, very tender. Expensive, but I'm willing to pay for an organic product and a brand I trust. The ham was a good size and very lean. Cooking it was easy. Tasted great and not super salty. It had a nice smoky taste but not overpowering. Overall very happy! Also have lots of leftovers for soup! I won't order this again. This ham was smaller than I expected. At $90.00, including shipping I think the ham should have been bigger. I ordered the spiral cut ham and I was disappointed this time. I have ordered it many times over the last 3 years and it was always delicious. It was unusually dry and very salty. Excellent! In-laws said it was the best ham they ever had. This is the third ham I have ordered from Organic Prairie and they have all been Tender, Delicious and just the right amount of smoke! Excellent is all I can say. Flavor was good, but the ham was very small and did not go far. There was no weight indicated on the ham which made it difficult to plan or judge how long to heat up. The fact that it was free of the nitrates was a big deal and why I might order again due to some serious diet restrictions in the family. This was the best ham I've ever had. Well worth the money spent and will order again! The ham was very small and extremely over priced. We had this ham for Easter. The flavor was very good and the cut was lean. The best part is that it is safe to eat because there are no sodium nitrites or nitrates. The spiral cut ham is the best we have ever had. It will be our new tradition. This ham is my go-to holiday ham. My whole family loves it and folks that don't like ham, love it. It has a nice smokey favor, lean (for a ham) and very flavorful. Plus, it's easy to heat up and serve. My youngest son is very picky. He dislikes fatty meat and usually dissects his food to separate out only the lean. You can imagine this might be an issue with ham. The OP spiral ham is lean, very flavorful and nicely smoked. We eat a ham about twice a year and always get this one. Great ham! My first and it's not going to be my last. Tried to order again but you are out of stock. We get several of these each year. Always delicious. After every accessible scrap of meat is gone, cook a big pot of beans or soup. Worth every penny! No pesticides, hormones, or other toxins, and the animals are raised humanely. Love Organic Prairie! Delicious, just a little to fat to my taste. One of the best we've ever had. From now on, OP is our ham source. I expected ham to at least look something like the ham shown in the ad. Instead, it was very small (just over 3 pounds unwrapped) and almost of pound of that was bone, I cooked it exactly according to the instructions, and yet it turned out quite dry and not all that flavorful. The spiral cut was almost meaningless, because so much of the ham was bone. For only about 2 pounds of ham (net), I ended up paying about $40 a pound. Definitely not worth it. Great flavor, nicely sliced. was delicious. Wonderful flavor and just the right level of salty ham goodness. Family thoroughly enjoyed for Easter. Ham was on the dry side and not juicy. Your spiral sliced smoked hams are delicious. I have made them twice and both hams were excellent. Very generous size, served a meal for 4, then leftovers for 2 more meals plus hambone for soup. Tender with great flavor. I did overheat at first, with the outside pieces becoming dry. Beware of my mistake, it is fully cooked, heat gently if you wish then remove from oven. Best ham I have ever had. So moist and tasty. Very happy with this spiral ham. Just wish I could order more than once a year, too expensive. Wonderful taste, easy to prepare and serve, and next year we'll have to get another because it was so popular with our New Year's guests. Spiral ham was over smoked. It was so dry. Served it for Easter and all were disappointed. Owner Response: We're sorry about your most recent experience, we'll be in touch with you soon! I ordered the spiral cut ham so we'd have it for Easter. I got it a few days early, so it had plenty of time to thaw. It only took an hour to heat it, & my family loved it! I froze several servings so we can enjoy it again in the future. 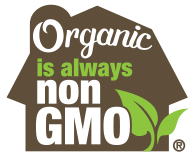 Thank you for providing great organic products! This has is excellent! Great taste, texture, size. Con is that is so expensive and so is the shipping. We LOVED this ham that came from a (supposedly) happy pig...the only thing that set us back on Easter was trying to get the plastic bone cap removed. We played around with it for nearly 45 minutes, at times risking life or limb trying to cut away at it. This put the timing of our dinner behind and because we had to remove the ham from the bone, it was a bit drier than we would have preferred. All in all, we enjoyed our Organic Prairie ham, we just wish it would have come with instructions on how to remove that dang bone cap. THE ORGANIC HAM WAS VERY DELICIOUS AND I ENJOYED IT VERY MUCH. I've ordered these hams for the past few years & the family has loved them. I should have ordered one for Christmas also as I don't see them on website now. Hope you will have more on sale for Christmas! I followed the heating instructions only to discover that the inner portion of the ham was frozen. It was not advertised to arrive frozen. I had to turn up the heat and cook longer. As it were, I was unable to heat it for as long as it needed because I had company waiting to eat this ham. It tasted ok but was not as wonderful as I had anticipated given the price of ham and shipping. In addition, my dinner plans were off schedule because the ham arrived half frozen and the cooking instructions were not adequate. I would not order again. We had the ham for the first time and it was delicious! Very moist and flavorful. Everyone loved it. Will definitely order again! The ranch-raised bone-in ham is the 100% best I've ever tasted. My sister loved it to as a Christmas gift. The ham and the beef sausages that I ordered were incredibly delicious. Five star gourmet meats. The ham was fantastic we thoroughly enjoyed it. Comments: It was important to me to serve a ham from a source offering organic meats from humanely-raised animals so I was happy to discover Organic Prairie online. Easy ordering process with everything you need to know for timely delivery. And And the ham is superior! Moist, lean and perfectly smoked. All I had to do was heat and serve. Worth every penny! This ham was AMAZING! You can't get anything like it at the grocery store. The smell from the smokehouse emanating from the ham was unmistakable; truly a farm-fresh product. It was definitely worth the cost, and I plan to buy again!